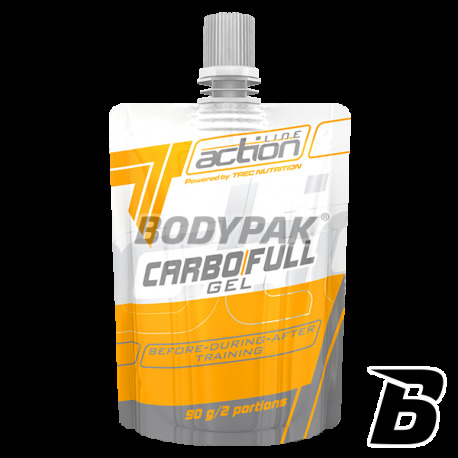 Professional gel energetic support to maintain the maximum capacity during intense exercise. Defeat your weaknesses thus supplement! Innovative product, so that now no training will be carried out only in part. Feel the tensile energy to every workout! 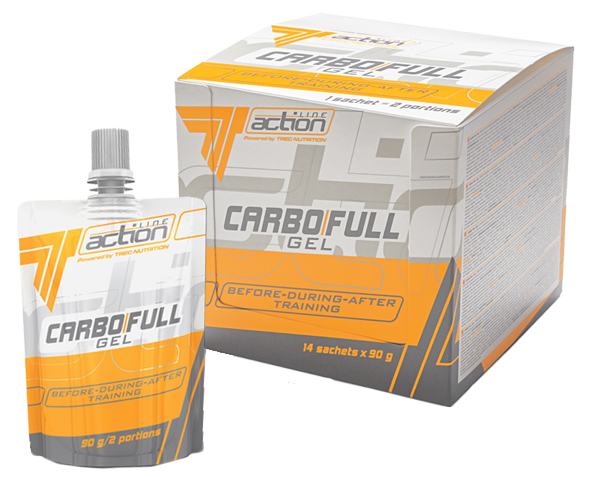 TREC FULL CARBO GEL is a professional gel energetic support to maintain the maximum capacity during intense exercise. 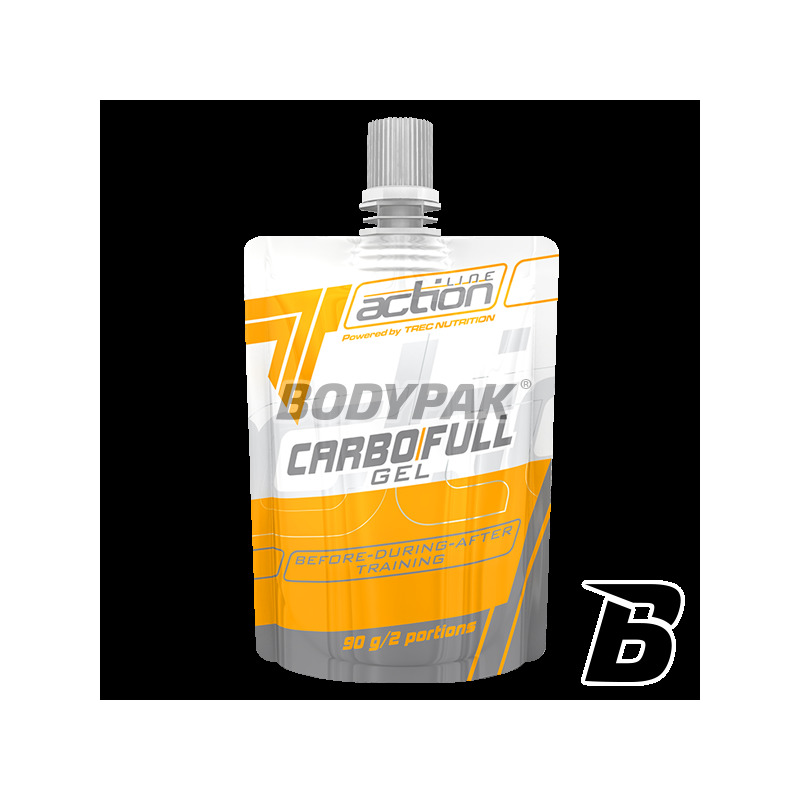 Mobilizing action has taurine, glycine and various complex carbohydrates, which gradually release the energy needed for exercise. The product complements the supply of electrolytes that are lost in sweat. 45-90 g of gel (0.5-1 sachet) eat small portions before, during and after exercise. Składniki: woda, maltodekstryny, dekstroza, izomaltuloza (źródło glukozy i fruktozy), substancje zagęszczające (guma guar, guma ksantanowa), l-glicyna, tauryna, regulator kwasowości (kwas cytrynowy), aromat, barwnik (Sunset yellow FCF), substancje konserwujące (sorginian potasu, benzoesan sodu), substancja słodząca - sukraloza.